Pfister Earth Day Giveaway Terms and Conditions The Pfister Earth Day Giveaway (the “Giveaway”) is sponsored by Price Pfister, Inc. (“Pfister”). The Giveaway begins on April 15th, 2013 and ends on April 22nd, 2013 at 11:59pm PST (the “Giveaway Period”). NO PURCHASE NECESSARY TO ENTER OR WIN How to Enter To enter, participants must enter online at http://www.pfisterfaucets.com/design_center/kitchen-bath-design-blog.aspx. All entries must be received by Pfister during the Giveaway Period. Any attempt by a participant to use multiple email addresses or accounts to multiply the number of entries, or any attempt to use an automated system or agent to submit entries, is prohibited and will result in disqualification from the Giveaway. In the event of a dispute as to registration, the authorized account holder of the email address will be deemed to be the participant. The authorized account holder of an email address is the natural person assigned to the email address by the applicable Internet access provider, online service provider, or other organization responsible for assigning email addresses for the domain associated with the email address. Drawing At the end of the Giveaway Period, there will be a random drawing (the “Drawing”) of correct entries conducted within ten (10) days after the conclusion of the Giveaway at Pfister’s offices in Lake Forest, California to select one (1) or more prize winners. Winners must meet all the requirements set forth in these Rules and Regulations to qualify for the prize. Each Winner will be notified either by phone, email, or mail within approximately thirty (30) days of the Drawing based on the registration information provided on the Website. Odds of winning depend on the number of eligible entries received. 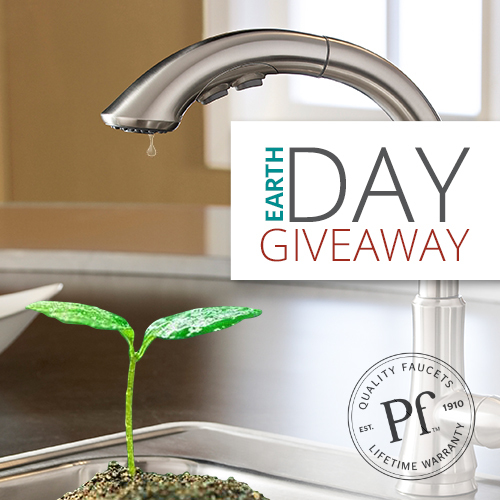 Prize The winners will receive their choice of Pfister WaterSense faucet (retail value up to $300.00). Pfister reserves the right to substitute any prize for a prize of equal or greater value. Income and other taxes (if any) are the responsibility of the Winners. Each Winner should allow thirty (30) days from acceptance for delivery of any prize. All prizes are non-transferable and not redeemable for cash. The failure to accept any prize within thirty (30) days after notification shall result in the forfeiture of any prize awarded hereunder. Eligibility The Giveaway is open to those legal residents of the U.S. residing in the 48 contiguous states (excluding Rhode Island), Alaska, Hawaii, and the District of Columbia who are 18 years or older. Individuals who are or were employees of Pfister or its affiliates, manufacturers, sales representatives, subsidiaries or parent companies, advertising/sales promotion agencies, or judging organizations since July 12, 2010 and the immediate families of each are not eligible. Void where prohibited. Entry materials become the property of Pfister and will not be acknowledged or returned. The Winners may be required to show proof of being the authorized account holder of the email address. Conditions All federal, state and local laws apply. Void where prohibited. 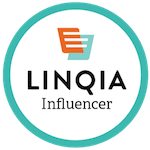 Pfister is not responsible for any expenses incurred by participants in connection with participating in the Giveaway or claiming or using any prize awarded in the Giveaway. By agreeing to enter the Giveaway, each participant is bound by these Rules and Regulations. Any decisions related to the Giveaway, the Rules and Regulations, the operation of the Giveaway, and the qualifications and eligibility of any participant are at the sole discretion of Pfister and are final. Each participant agrees to release and hold Pfister, its employees, officers, directors, shareholders, agents, representatives, and its subsidiaries, parent companies or other affiliated companies harmless from any and all damages, losses, claims, and liabilities arising out of his or her participation in the Giveaway or resulting from accepting or claiming any prize awarded hereunder. Pfister reserves the right, in its sole discretion, to terminate, suspend, or otherwise cancel the Giveaway at any time for any reason. Each Winner will be required to complete an Affidavit of Eligibility and Liability/Publicity Release or his or her prize will be forfeited (except where prohibited by law). Participation in the Giveaway constitutes permission (except where prohibited by law) to use each Winner’s name, likeness, biographical information, photographs, and any statements or remarks made about winning or participating in the Giveaway for advertising and promotional purposes (in any medium) without additional compensation.